6 February 2017, Mumbai: The usual is boring. This Valentine’s Day, express your love for one and all as there is no better alternative than the gorgeous effervescence of a Chandon. 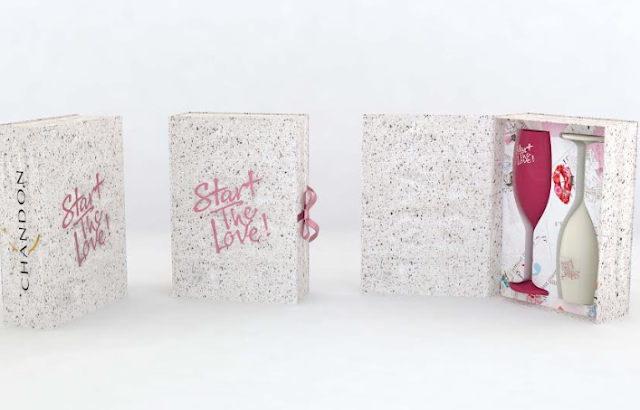 This February when you get your friend, girlfriend, boyfriend, parents or whoever you deem fit of your love, a beautiful bottle of Chandon Rosé, you’ll also be doing the environment a favor. 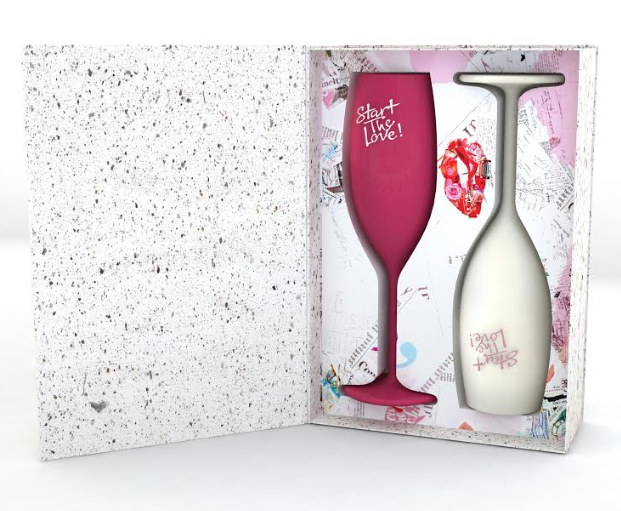 Our beautiful bottle comes with a limited edition eco-friendly coffret (gift box) containing a complimentary pair of vibrant Chandon flutes to help you spread and start the love. In a one-of-a-kind association with Chandon India, Green Paper Works (also the first Indian company to patent the grape paper process) transforms 40 per cent of marc or pomace (grape waste), and organic waste, into exquisite, handmade paper. The result is 100% natural, chemical- and tree-free – an economically viable and sustainable endeavor. Chandon’s first green step is a true milestone in the spirits industry in India. 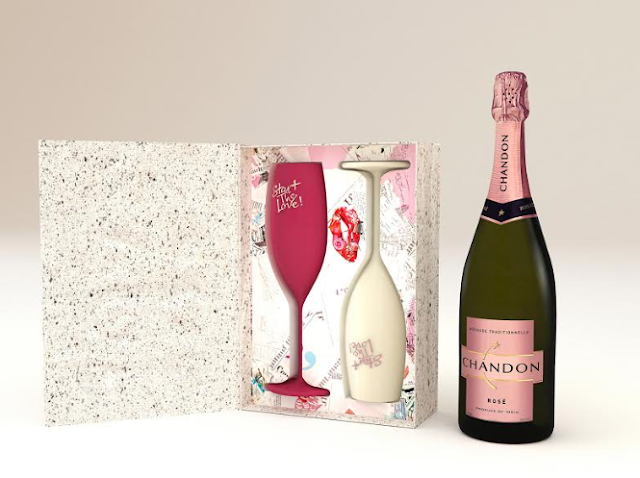 This ecological and elegant coffret also multitasks as a favour box – all while reflecting the true spirit of Chandon, that of a party starter. 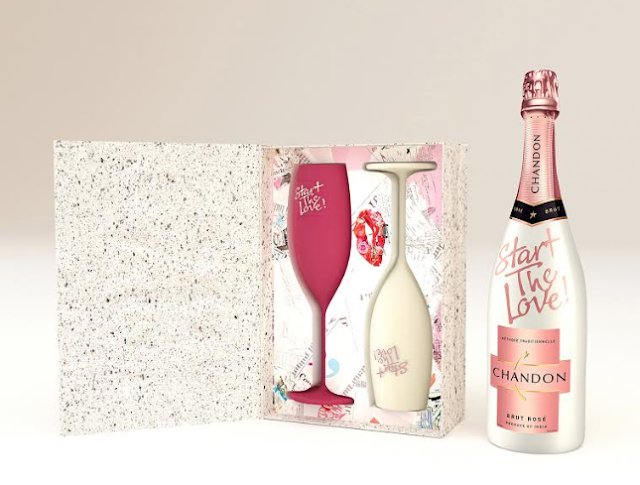 The Chandon Rosé limited edition coffret will be available at select restaurants and bars in Mumbai, New Delhi, Gurgaon and Bangalore. Chandon Rosé is available at INR 1,500 across leading wine boutiques in the country. Moët Hennessy India Private Limited (MHI) is a subsidiary of Moët Hennessy, part of LVMH - Moët Hennessy Louis Vuitton, the world's leading luxury group. MHI was incorporated in India on April 1, 2001. The company undertakes import, sales and marketing in India of MH luxury portfolio of wines and spirits. The company’s international brands that are available in the country today are Ardbeg, Belvedere, CloudyBay, Chandon, Dom Pérignon, Glenmorangie, Hennessy, Krug, Moët &Chandon, Ruinart and Veuve Clicquot. In the late 1950s, Moët &Chandon, the world’s leading Champagne House since 1743, began exploring the potential for producing world class sparkling wines outside of the Champagne region, under the ‘Chandon’ name. The first Chandon Estate was created in 1959 in Argentina followed by California (1973), Brazil (1973) Australia (1986) and China (2013). Following in the pioneering steps of the founders and continuing its search for new winemaking territories, Moët Hennessy determined that the Nashik region had the potential to produce world-class, premium quality sparkling wine. Chandon is the first offering from Moët Hennessy to be made in India. Combining the centuries-old sparkling wine-making practices of “method traditionnelle” with the finest local grapes, Chandon is available in two variants: Chandon Brut and Chandon Brut Rosé.